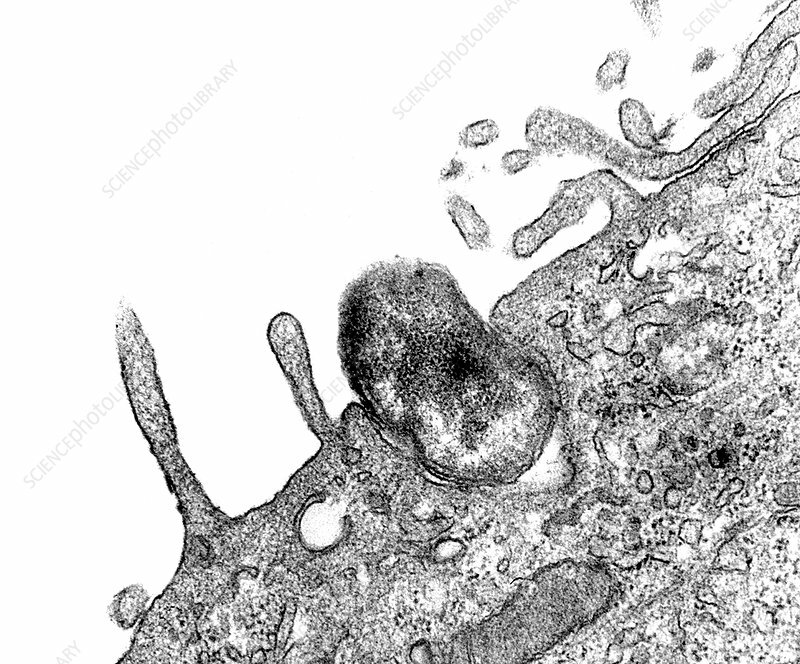 Transmission Electron Microscope (TEM) image captured as the process of phagocytosis was underway. Here, you are able to see as an Orientia tsutsugamushi bacterium, formerly known as Rickettsia tsutsugamushi, was being ingested by a mouse peritoneal mesothelial cell. Note how the would-be host cell membrane had not yet entirely enveloped the bacterium.